San Diego-based Competitor Group, Inc. (CGI) announced a new half marathon grand prix yesterday the scope of which would traverse their entire 30 Rock `n` Roll Half Marathon event landscape and also include the EDP Lisbon Half Marathon March 24th. The GP will include both professional and age-group divisions which will award prizes in excess of $250,000. The professionals will compete over a two-year calendar for a minimum championship prize purse of $240,000, while 13 men’s and women’s age groups (spanning ages 18 to 80+) will compete over a year-long Grand Prix with each of the 26 Grand Prix Champions winning merchandise prizes valued at a minimum of $1,000. I spoke with CGI Senior Vice President of Events Tracy Sundlun about the new series late yesterday. Q: I see that you’re beginning the Grand Prix retroactively beginning with the RnR event in Arizona in January? Were the athletes in Arizona and New Orleans aware that they were competing in a proposed Grand Prix? TS: Some were aware of it, yes. But we’ve been beta-testing this as we waited for the right time to announce it. Q: There has been talk of such a series for a while, how was it finally put together? TS: I’m like Chinese water torture; we just kept after it. But it was Matt Turnbull’s idea (CGI’s elite athlete coordinator), and we’ve been noodling about it for a while, talking to a lot of people. But the question was, how do we take what we’re doing, and make every element of our events more relevant? How do you draw more attention to the front of the race for the press, the participants, and the sponsors? Doing this will create a regular story, plus it will draw attention to serious age-group runners, too. Q: There is time-based prize structure proposed rather than a place-based structure like you’ve had in the past. 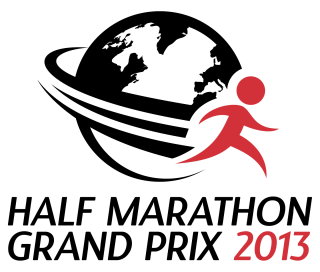 ( For additional info about the Half Marathon Grand Prix, including official rules, current standings and more, visit: HalfMarathonGrandPrix.com). Have you done a comparison of what the payout would have been last year if this system was in place? TS: We have done some investigation along those lines. But are we sure how this will work out for the bottom line? We think it will work. But we are unique in the half-marathon space. We have some of the world’s premier half marathons. The question was, how can we connect them and make them better? For instance, how many people knew that the EDP Lisbon Marathon was a Competitor Group event? In fact, we have two of the premier half-marathons in world history in EDP Lisbon and Philadelphia. And since New Orleans began, it has been perfectly timed to be a magnet for the best runners. We’ve had two U.S. All-Comers records there. Sammy Wanjiru made his U.S. debut there. (Olympic gold medalists Mo Farah and Meseret Defar won New Orleans 2013). Q: In Hollywood when you pitch a movie you have to be able to say what it is in one sentence. What’s your one sentence? Q: You’re right, that is a long sentence. TS: But it is just one. Listen, one step at a time. This doesn’t belong to CGI alone, it belongs to the sport and the athletes. We expect additions and tweaks. Q: I assume you are looking for a sponsor? TS: Oh, yeah. We think it’s a good sales opportunity as a stand-alone entity. And TV would probably be a part of a sales proposal. We hope we have created a solid platform from which we can grow. Q: Will there still be appearance money spent to recruit top athletes and regular prize purses, or is the Grand Prix the new one-time athlete payout? TS: No. This does not replace or eliminate what we’ve done in the past. Like the World Marathon Majors program, this is on top of existing incentives at the individual races. Q: How will the focus on the Half-Marathon Grand Prix effect your marathons? TS: It won’t effect our marathon in San Diego at all. That’s the only marathon we have that’s conducted at an international level. But will the world’s better athletes be in the half-marathons? Yes. But that’s the nature of the event distance and athlete schedules. We don’t have a multi-million dollar elite athlete budget, but over the years since we created the half-marathon in Virginia Beach in 2001, the half-marathon has become the CGI sweet-spot. Look around, we had 71 of the 350 qualifiers for the U.S. Olympic Trials Marathons qualify in our events, the majority in the half-marathons. We’ve had six U.S. All-Comers records. The performances in New Orleans, Philadelphia, and San Jose have been extraordinary. Where did we first hear of (London Olympic Marathon Champion) Tiki Gelana? She was second at Virginia Beach in 2008. Paul Tergat, Haile Gebrselassie, Sammy Wanjiru all made their U.S. debuts in our half-marathons. This is a natural evolution of where we’ve been heading since Rock `n` Roll Virginia Beach, international in scope, year round, with the nation’s and world’s best athletes. Q: What criteria are you using to judge effectiveness? TS: Every aspect has to be relevant to all other elements, the press, the cities, the elite fields, the participants, the sponsors. No one can escape that scrutiny. Fortunately or unfortunately, the front of the race must meet that standard, too, which makes it incumbent on the athletes and managers to make themselves more relevant. We can’t afford nameless East Africans who can only run fast. But we’ve had the Tergats, Tirunesh Dibaba’s and Meseret Defars’s before, and they come with a story. We will also be announcing a seven-person commission shortly which will help us assess how the Grand Prix is playing out, and to adjudicate any questions that may arise. There hasn’t been a lot of light shined on this yet, but thus far it is receiving high marks from those we have talked to, particularly the age-group side. So we’ve been very, very pleased, even surprised. Q: Is that a sign of CGI’s reputation? TS: You mean, people are surprised that we’re doing it, because we’re jolly jogger central? No. I don’t think the general public or even the sport sees us as having abandoned the sporting aspect. And this just underscores our intent of adding to it. I have long said that while our sport hosts runners, we don’t challenge them as the focus on participation has continued to dwarf the competitive element. CGI has been in the forefront of that movement, but this new Grand Prix, with its time-based prize system, should boost interest in both the regional and national competitions, while showcasing the world-class runners in a more regulated framework. While Competitor Group bought a well-branded series of seven RnR events from Elite Racing in late 2007, and then expanded that platform significantly, it never branded its actual competitions. Every race was a stand-alone county fair, just like the rest of this sport. This Grand Prix is their first attempt at creating synergy within the RnR platform while generating greater interest in the competitive element at all their events. The effort, alone, should be applauded. Let’s see what comes of it. are also much easier to clean than those made out of fabric. Is there a need for semi-private space for discussions or presentations. Excellent news. So glad to hear Tracy verbalize the need for athletes with an identity, story, personality. The real trick will be executing on that requirement so that CRG can forge real, emotional connections between the pros and current and future fans.